Frequent Comics Corner feature Kaijumax has been one of the most critically acclaimed independent comics in recent years. 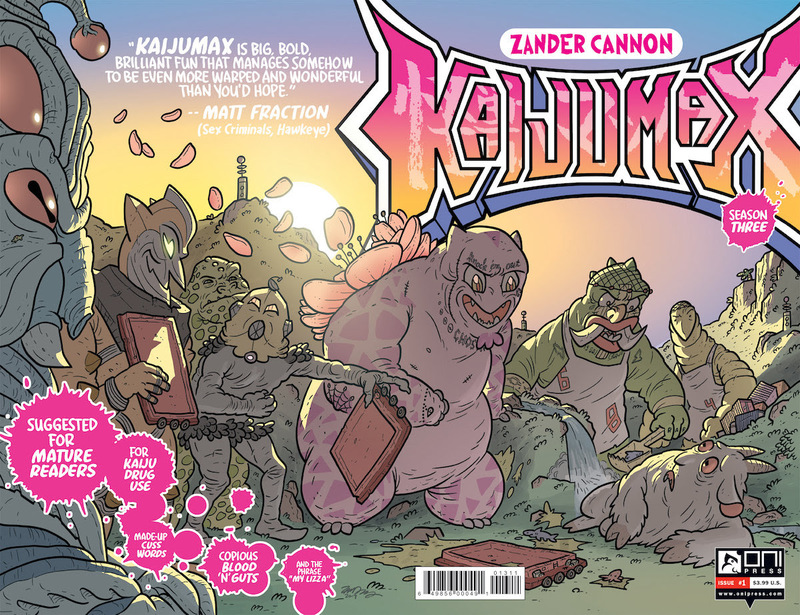 Oni Press provided The Tokusatsu Network with solicitation information for Kaijumax Season Three #1, the beginning of the title’s third story arc. Check out the summary below, and look forward to our Comics Corner review of the Season Two trade paperback later this week. New season! New jumping-on point! Ah, Kaijumax Prison… that cesspool of corruption in the South Pacific! Tensions among the city-destroying convicts have eased after a month-long lockdown and Electrogor’s capture, and now the kaiju gangs have begun vying for power again, all-out-attacking their rivals, trading addictive smog and dioxin, and abusing weaker inmates. The Creature from Devil’s Creek, after a long time as the low mon in the Cryptid hierarchy, stumbles upon some information that makes him think it doesn’t have to be like this. Also: Mind-controlled murders! Pre-smartphone navigation fails! And… some VERY old timey religion?